Uses iWebKit 4.6.2 to extend MyBB read-only functionality to the iPhone. 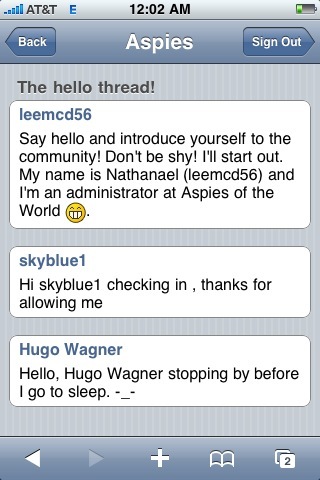 Using the iWebKit 4.6.2 system (http://www.iwebkit.net) you can extend iPhone users the ability to view the forums. If you would like to extend the plug-in to add better login capabilities and the ability to moderate or post replies and new topics for your forums personal use, feel free. Any extended functionality is much welcomed because that is the purpose of this plug-in altogether. 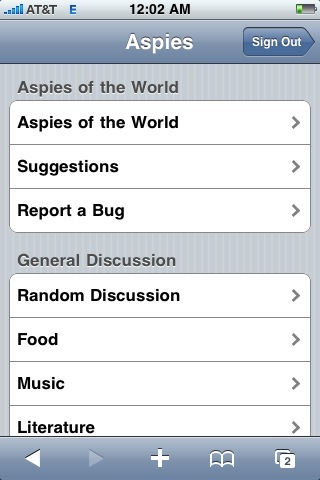 The theme is pretty basic: It follows the basic UI of an iPhone settings menu. The positive side is smilies and MyCode are allowed, and since the $mybb class is used it follows user permissions. Lets you generate a link location to search results from just using a MyCode. This plugin adds a list of the best reputated users to your forum. A MYBB clone of the default Kubrick theme from wordpress.